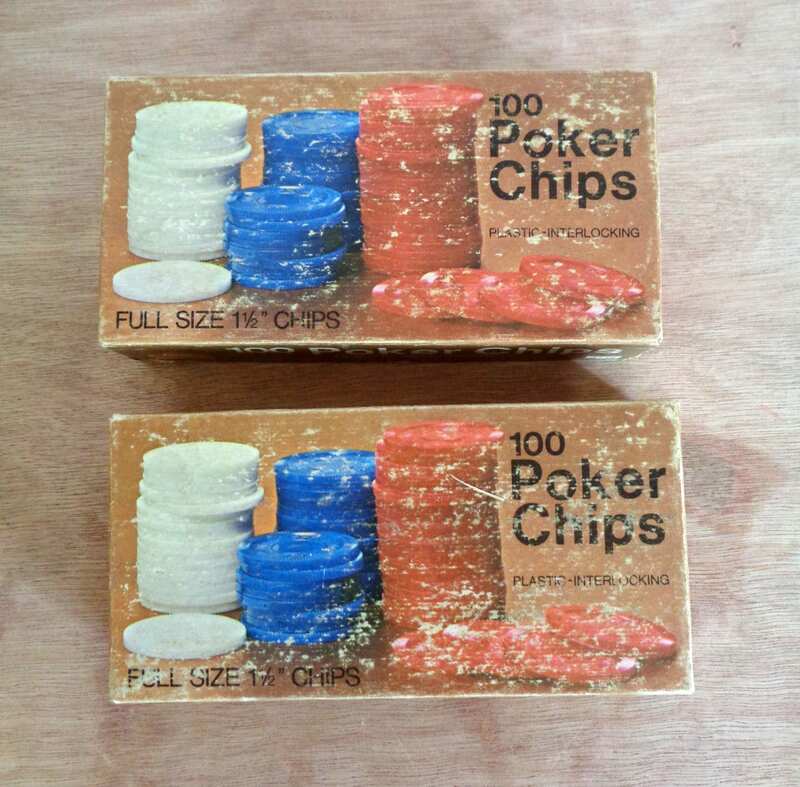 One box includes 50 red chips and 50 blue chips. 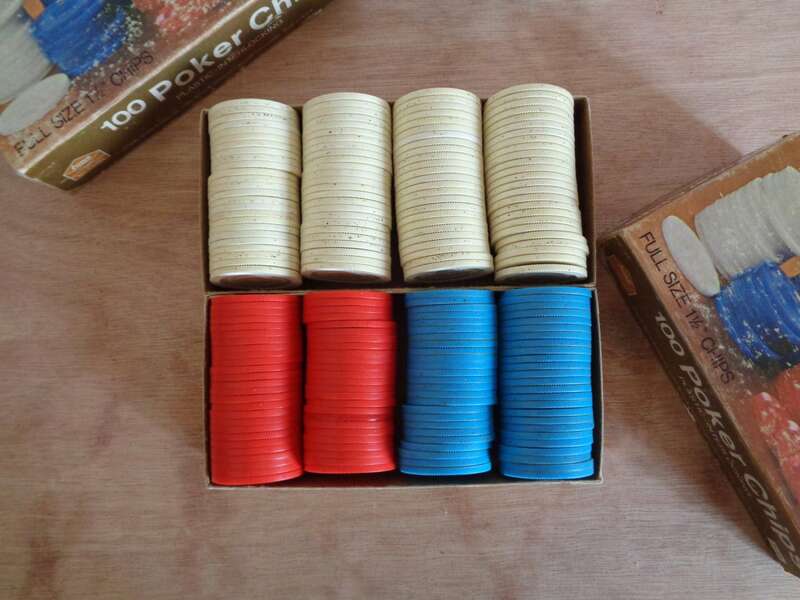 Second box includes 100 white chips. These chips have probably caused a few flipped tables so use with caution. Original boxes have some wear from age and use. 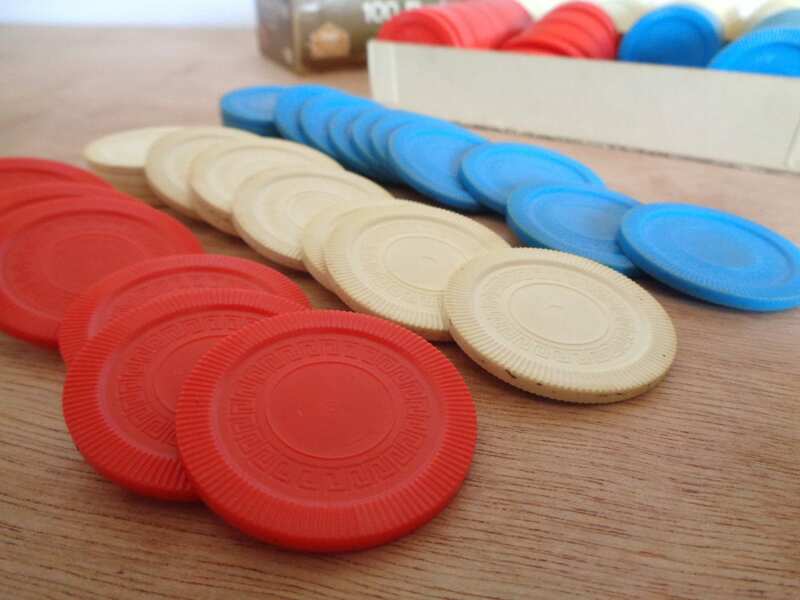 One (1) extra red piece for total of 51 red chips. 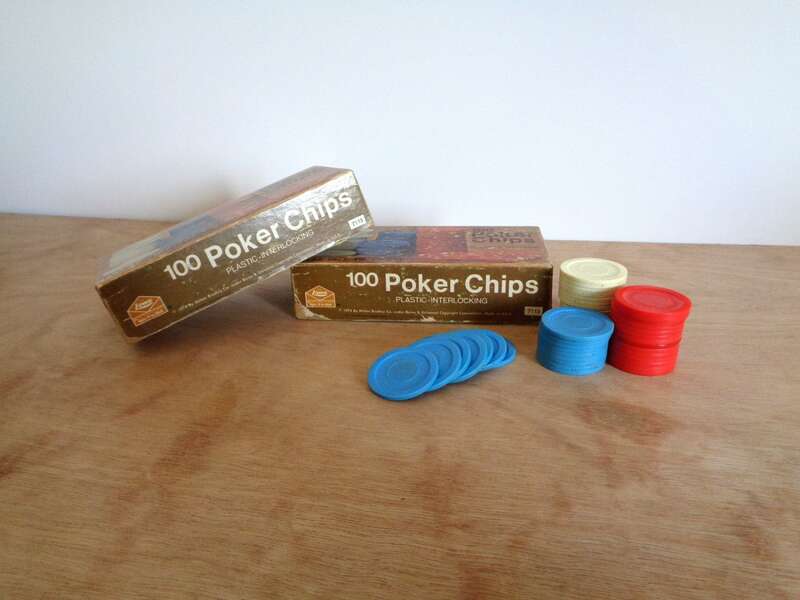 Some staining and grime on chips, especially white ones (see photo). Otherwise in great vintage condition. 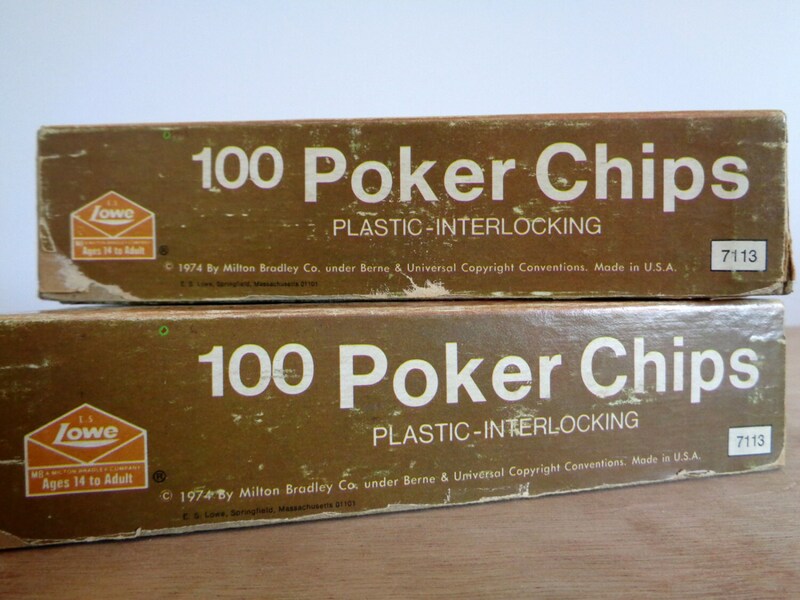 Made by Milton Bradley Co.